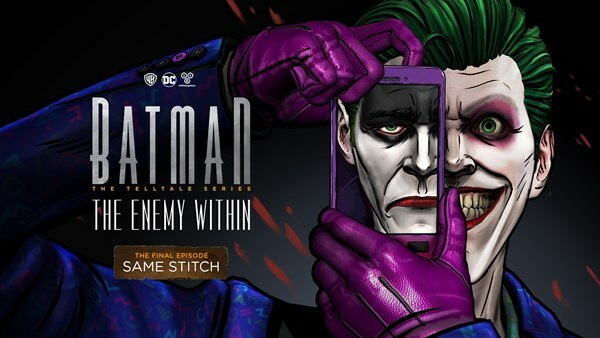 Award-winning developer and publisher of digital entertainment Telltale Games, alongside DC Entertainment and Warner Bros. Interactive Entertainment, yesterday premiered the fifth and final episode of Batman: The Enemy Within, an episodic game series that continues Telltale's unique take on the World's Greatest Detective. Same Stitch features two totally separate takes on The Joker: one a ruthless villain that hews closer to the classic Clown Prince of Crime and the other an unpredictable vigilante that's unlike any other portrayal of DC's iconic Super-Villain. 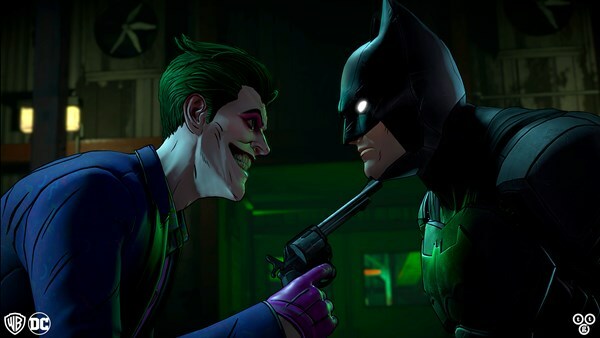 The choices players have made over the course of the season will determine which story - and which version of The Joker - they see in the finale.